The 8th Asia Research annual survey of market research buyers in Singapore was conducted in April 2015. 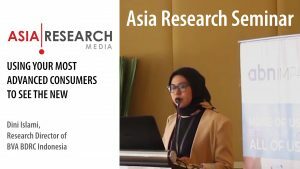 The results show that the Singapore market research buy tramadol online no prescription industry is in modest shape – 30% of clients report an increase in their budgets for 2015 over the previous year, compared to 18% reporting a decline (the remainder stating no change or not disclosing). This is very similar to the previous year and an improvement on 2012 and 2013. However, the number of research projects commissioned with external agencies has dropped, with an average of 6.9 projects commissioned this year compared to 8.0 the previous year. This suggests that projects are now larger in value but less frequently commissioned. 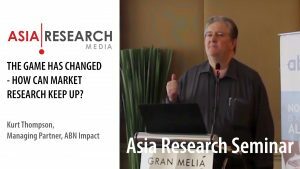 Indeed, we find that a greater proportion of clients’ market research budgets (56% versus 40% in 2014) are now being spent in markets outside of Singapore (i.e. there is more international than domestic research). The survey also revealed that over 90% of corporations now undertake some level of market research in-house. While this has commonly been desk-based research, clients are now conducting a much wider range of in-house research, including analysis of their own transactional data (66%), Web analytics (55%), and online surveys using their own customer databases (51%). But corporations are going much further than this. Because most market research buyers have worked within agencies in the past, organisations now have the capability to run full-service research in-house, with 42% conducting their own qualitative research (e.g. in-depth interviewing and focus groups), 38% doing in-store interviews, and 30% undertaking other types of primary research such as phone-based surveys. A net 14% of clients state that the level of in-sourcing is likely to rise in the next year. 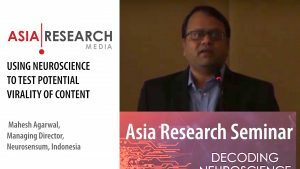 In terms of the use of external suppliers for research, Asia Research has observed considerable fragmentation of the industry over the years. In 2012 an average of 3.5 different external vendors were used, and that has risen to 3.9 today. While Large MNCs and independent agencies are the mainstay of the industry (used by 87% and 80% of corporations respectively), 32% of corporations use management consultants for research, a figure which has risen from just 21% in 2012. This implies that strategic business planning through management consultants needs to be supported with a better view of the external market, meaning the size of the research industry can grow through this other channel. But in the digital era, a big emerging player in the market research industry is specialist analytics firms, which are used by 31% of corporations. Community panels are now used by 15% of corporations, while direct use of “traditional” panel companies has fallen back from 44% in 2012 to 34% this year. This seems to go in hand with more in-souring of research (e.g. using proprietary access panels within the client organisation instead of going to market wide consumer access panels). Corporations are also seeking their research from non-mainstream research suppliers, including industry experts (28%), branding consultants (28%), and academic institutions (24%). All these are competing against the mainstream market research vendors for their share of the supply market. While clients claim that procurement will continue to become more and more involved in price negotiations with external market research vendors, the use of procurement might now have peaked at just less than half of all corporations. Clients’ openness to new vendors is also increasing, with 74% claiming they are “very” or “quite” open to using new suppliers for research in the next year compared to 69% in the previous year. This openness could be down to a need to adapt to the changing market (e.g. bringing in new types of vendors specialised in different areas of data collection, such as the analytics companies), but might also be due to dissatisfaction with their current vendors. Based on the Asia Research survey, the most common complaints about research suppliers are poor-quality analysis and reporting, and poor client servicing such as slow response to clients’ requests. Clients recognise that these shortfalls are a product of research agencies taking on too much work and insufficient involvement of senior management in projects, the latter of which is a common gripe among those working with the larger agencies. Clients also complain that researchers lack understanding of their specific industry sector and the broader business implications of research. In conclusion, Asia Research believes that the research industry in Singapore might be stabilising somewhat (e.g. budgets are a bit healthier, and procurement’s involvement in market research is levelling off). Clients, though, are discovering a new range of vendor options in the market and will use a mix of mainstream, boutique, and specialist analytics firms. A trend that will need to be monitored is how much research client organisations choose to undertake in-house. Technology itself and the in-house skills sets of clients are removing some of the business that might have been “taken for granted” by agencies – your clients might become your biggest competitors!